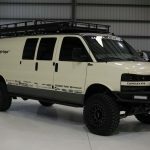 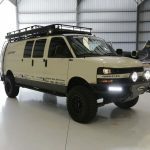 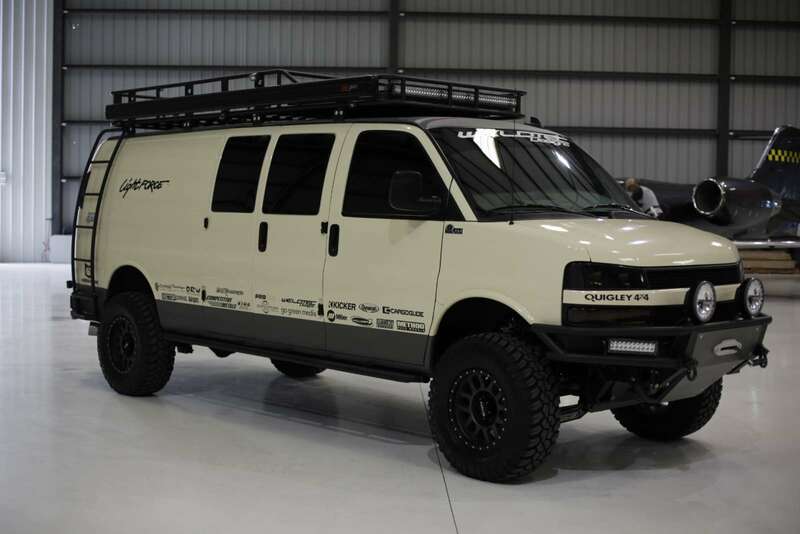 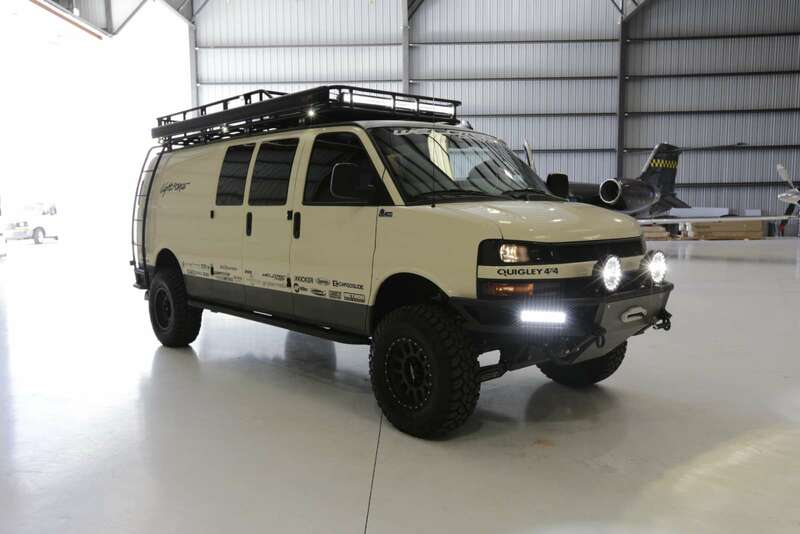 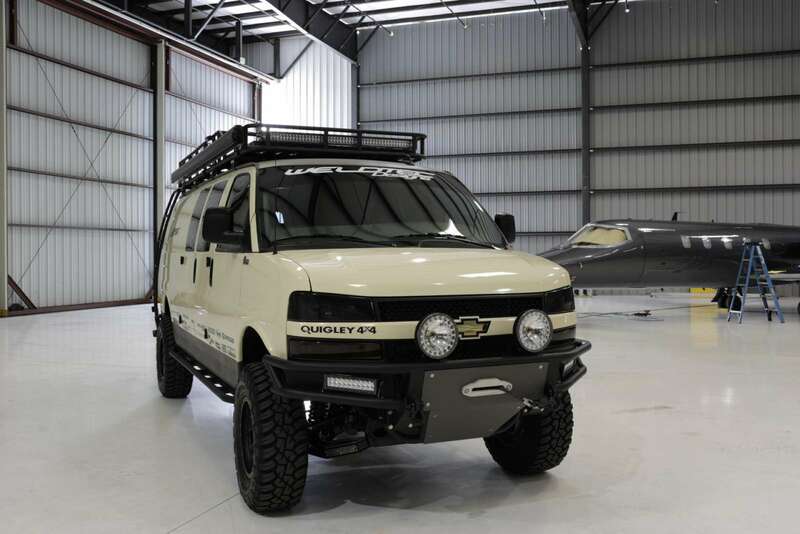 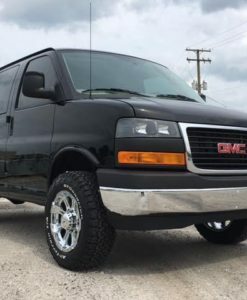 Time to outfit you Chevrolet Express Van with the ultimate front winch bumper! 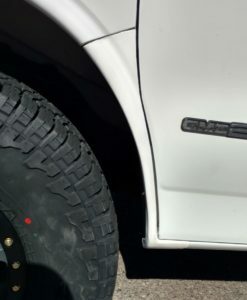 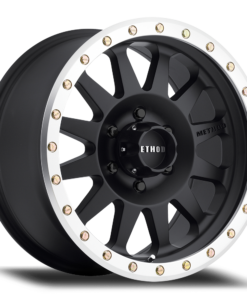 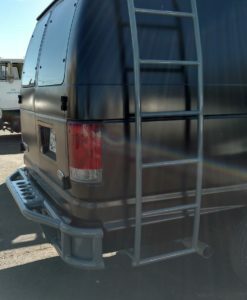 If you have a 2 or 4 wheel drive van this bumper is a must have for the trails. 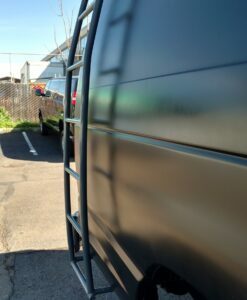 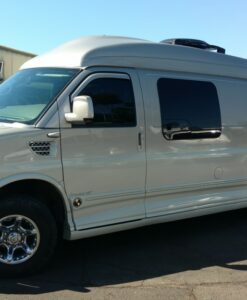 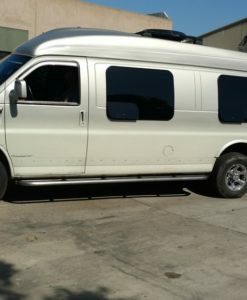 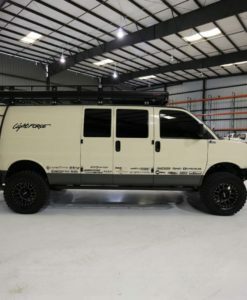 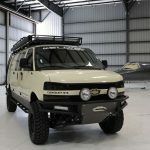 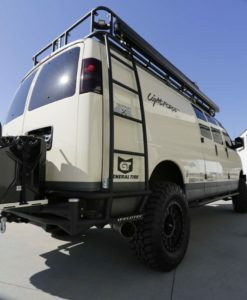 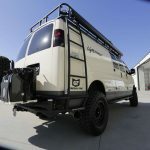 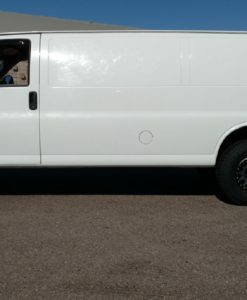 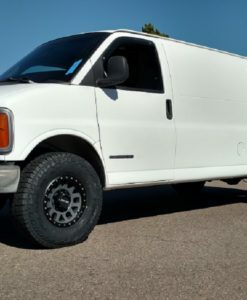 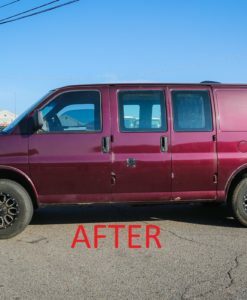 Our tube style front bumper is going to give your Express van the ultimate protection with unique styling and function. 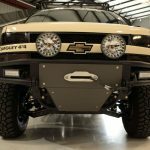 Allowing you to mount a winch while keeping it hidden behind the main skid plate keeps a clean look across the front end. 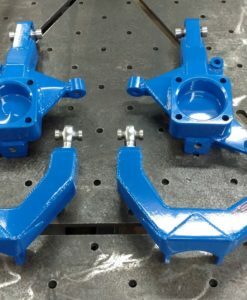 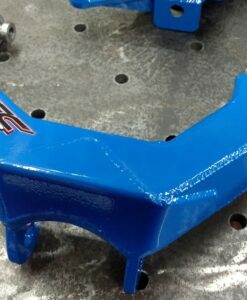 We then added a lower skid plate to give you maximum protection and cover the lower frame section. 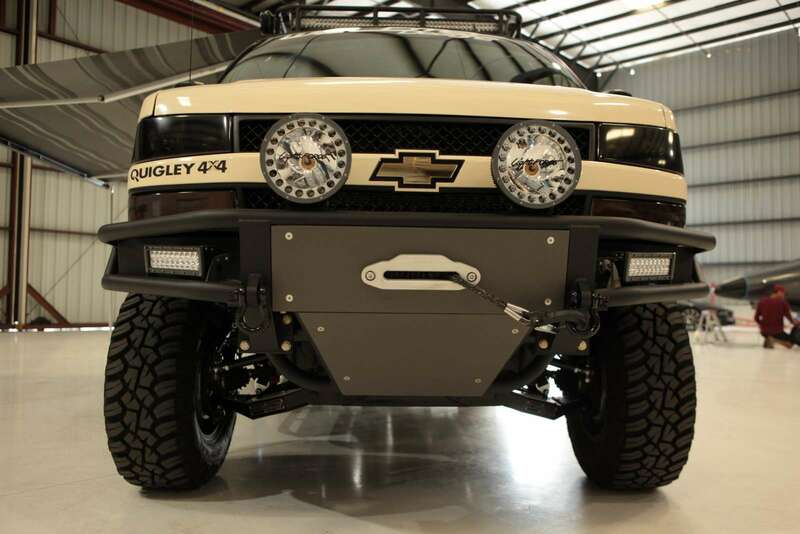 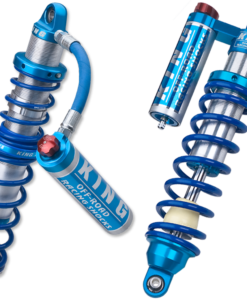 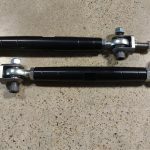 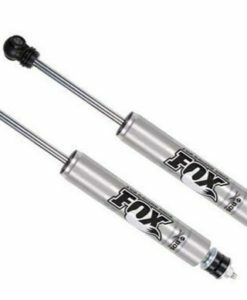 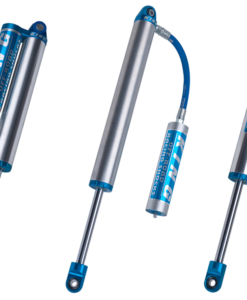 With light mounting options we can make sure the nights are brighter then the days on those dark windy trails. 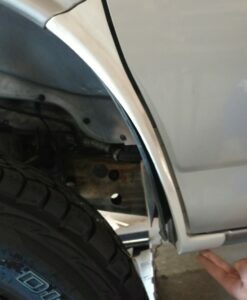 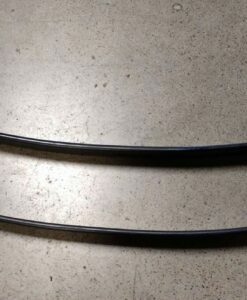 **** This bumper is shown with Black mini-texture and the skid plates are coated in gray bed liner material.